Military members have to deal with a considerable amount of stress while on duty, whether it be serving our country, or taking care of their family. If you are in the military, or have a spouse serving, it is important to consider a life insurance plan. There are many different types of plans, but you should be aware of what kind of coverage you need to make it work. Two main plans may help you get an idea of what you need to ensure your family is financial protected in the event of the unthinkable. A non-guaranteed payout. This may not seem like a great idea, but it has plenty of upside, as it is low-risk. If you don’t die within the term coverage, you don’t get the money back. The cost of one of these plans is affordable, and you won’t have to break the bank to make sure your family is covered. You pick a period of time where the coverage will be in effect, and if you pass away, your family is given the funds agreed to in the plan. This can range widely, but it is usually between 15 and 30 years. This type of policy is a little bit easier to understand for some, and is a more traditional option. With so many more people using this option, it is more likely you have heard about it, or know someone that uses it. The payout is guaranteed, but the premium costs are constant. This can help a person gain a significant amount of money over time if the holder dies. Terms are a bit more wide-ranging with this option. Plans can be found for as little as five years, or as long as 30 years. 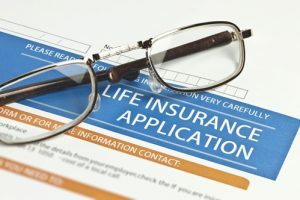 Families that take care of their life insurance needs may also have other financial responsibilities that should be addressed. Sometimes, these are more difficult to deal with than expected. If that is the case, we would love to speak to you. Keep in mind, Omni Financial conducts periodic “Out of Hock/Out of Debt” presentations around the country. Please contact us for details on our next finance education presentation, to guide you with budgeting guidelines for a more sound financial future.